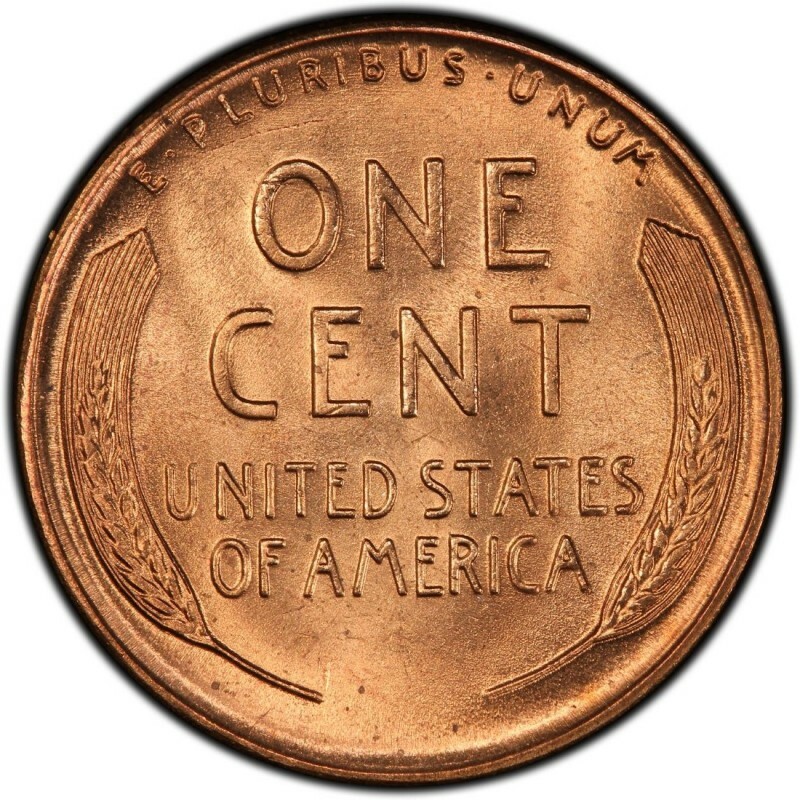 As the 1940s drew to a close, production of Lincoln Wheat Penny coins in 1949 fell slightly from the numbers that reached toward one billion (or more) in earlier years of the 1940s. That, however, doesn’t mean 1949 Lincoln Cents are necessarily scarce. 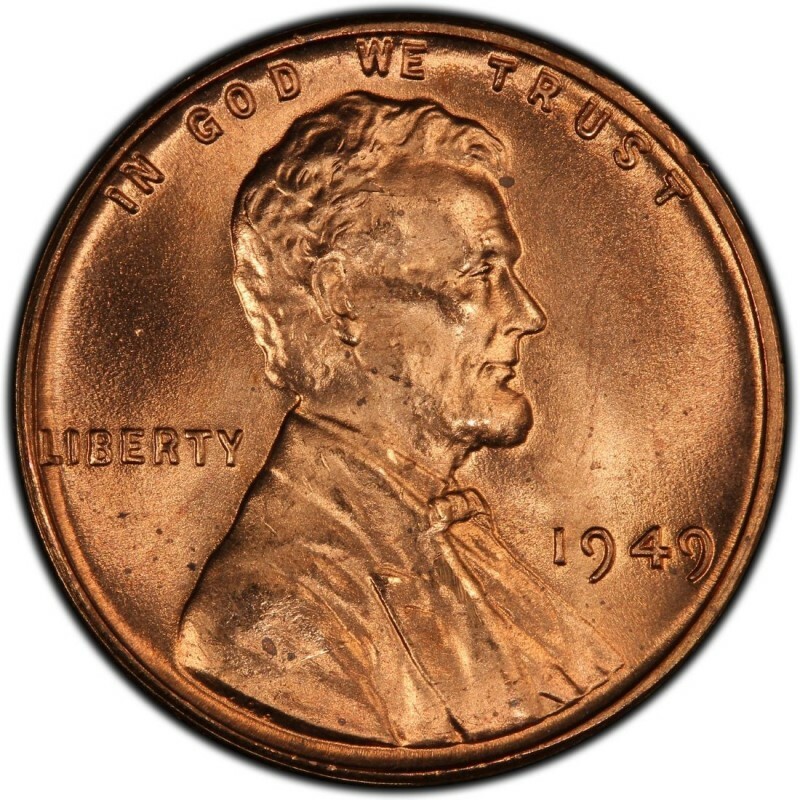 A breakdown of 1949 Lincoln Penny mintage figures paints a picture of plenty for one-cent coins that year: 217,775,000 Lincoln Cents were struck at the Philadelphia Mint (no mintmark) 153,132,500 were produced at the Denver Mint (D), and 64,290,000 Pennies were made at the San Francisco Mint (S). Corresponding with these healthy mintage figures are affordable prices for each of these varieties; less than 20 cents will buy a nice, circulated 1949 Penny from any of the three mints; for less than about $5, you can buy a decent uncirculated specimen in Mint State 63 or higher, according to the Sheldon Coin Grading Scale. Or, if you particularly love the thrill of a treasure hunt, you could focus your efforts on searching pocket change and bank rolls for these Pennies in circulation – plenty still exist in the channels of commerce, though fewer and fewer are floating around as the years go on. No proof Lincoln Wheat Penny coins were made in 1949, as the United States Mint was concentrating its efforts on striking circulating coinage as well as war medals for many of the service people who had returned from combat in Europe, Asia, and Africa during World War II. I have a 1949 Wheat Penny with no D or S below the date, however above the date there is either an eye like the seeing eye or another symbol there, I don't have a magnifying glass! It sounds like you might have a 1949 Philadelphia Lincoln cent that was counterstruck with a Masons symbol. While technically considered altered coins, there's actually a bit of a following for these novelty coins, and many times they trade for $1 to $3 or even more each. I was wondering if a wheat penny with no initials below the year, there is a a symbol above the year, I don't see VDB anywhere on it either. Is it worth anything besides a penny? I have a wheat penny date 1949, but no other marking below that yenytar. There is a symbol above the year is it worth anything?